One Story Down will be reopening sometime early March. In the mean time, you can shop for selected maps at the quaint Roadside Market. The Roadside Market offers select maps at a small discount. 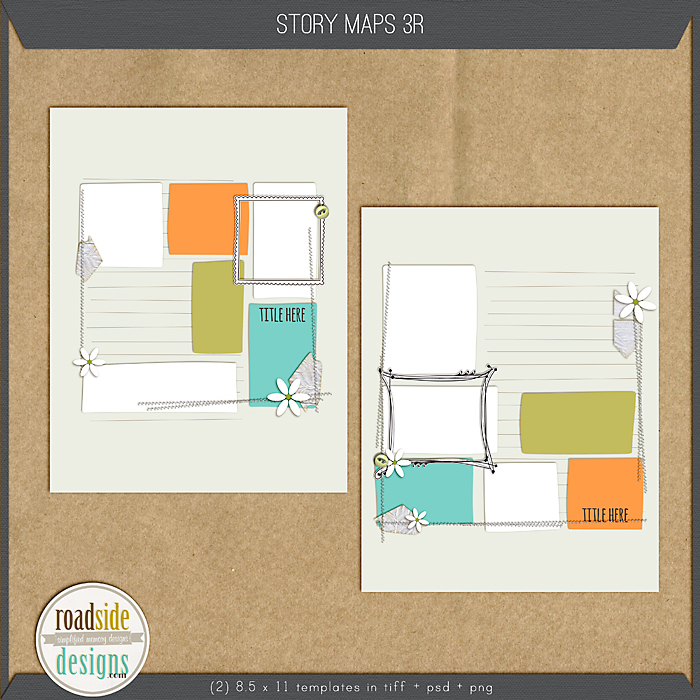 AND today, I have a new set of Maps on sale, Story Maps 3 and Story Maps 3R for 20% off the Discount price through the Weekend, ONLY $1.90! These maps will help you journal your story. Each set comes with doodle frames, buttons, and wrinkly paper arrows, the perfect elements to make your layouts fun. Are you signed up for the Roadside Billboard? I will be sending out an email later today with an exclusive offer.